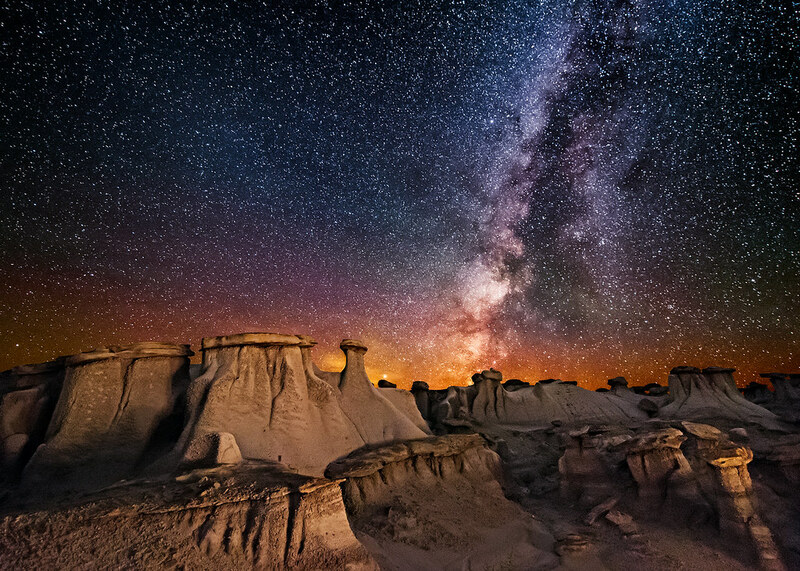 Valley of Dreams, in the Badlands of NW New Mexico. The hoodoos are mostly mudstone hoodoos, with a softer clay like base and a harder rocky cap. This was taken with a Nikon 14-24 mm lens at 15 mm, f 2.8, 25 sec., and ISO 12,800. This is a single exposure. Thanks for taking the time to look. Hope you enjoy! Big thanks to the wonderful Flickr family out there.